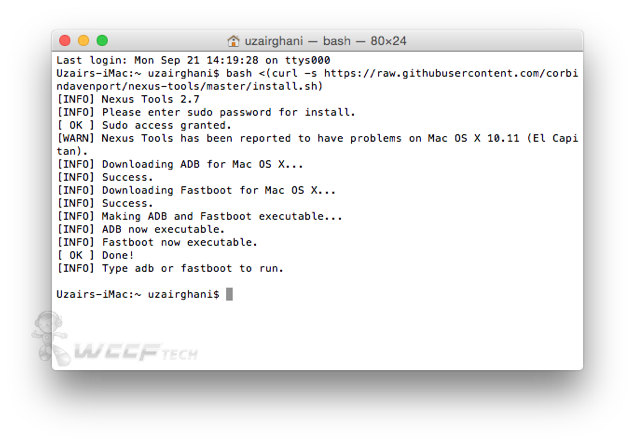 Here’s how you can set up Android’s ADB and Fastboot on Mac OS X quickly and easily. Setting up ADB (Android Debug Bridge) or Fastboot on any platform can be a huge pain in the rear, as it requires a user to go through a bunch of steps before he / she can mark the whole thing off their checklist. On a Mac, however, you can easily set up ADB and Fastboot in a few simple steps, and the best part is: anyone can do it with little to no knowledge regarding setting up developer based tools. Before you move forward, make sure that you have a stable Internet connection as it is a strict requirement for the installation of ADB and Fastboot. 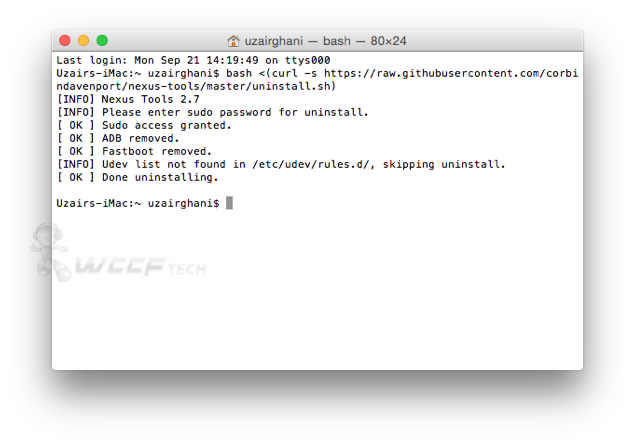 Restart your Mac, and you will be able to download and install ADB and Fastboot using the method jotted down below. 1. Launch the Terminal app on your Mac. Press the Command + Spacebar key combination to bring up Spotlight search. Type in Terminal and then click to launch it. Hit the return key on your keyboard to begin installation. 3. If you’re prompted to enter your OS X administrator password then be sure to do just that, otherwise the installation process won’t complete. After a few minutes, given that you have a fast or stable Internet connection, ADB and Fastboot will be set up and ready for use on your Mac. If you’re a die-hard Android user, then we highly recommend that you do not uninstall ADB or Fastboot from your Mac, as it will be required to push files from your desktop straight to your mobile device. And if you have a Nexus device and consider yourself a pro Android user, then ADB and Fastboot is a must-have, especially if you tend to try out different beta builds of Android on your smartphone or tablet before anyone else. Found the above guide useful? Then be sure to let us know about it in the comments section below.